Kenneth M. Stampp, 96, a historian who helped transform the study of slavery in the United States by exposing plantation owners as practical businessmen, not romantics defending a noble heritage, died of heart ailments July 10 at a hospital in Oakland, Calif. He had vascular dementia. He was 96. His death was confirmed by the University of California at Berkeley, where he taught from 1946 until retiring in 1983. Stampp denied having the burgeoning civil rights movement in mind when he researched and wrote "The Peculiar Institution" (1956), which powerfully challenged the way slavery was presented in history texts. But the impact of the book was undeniably linked to the changing era in which it appeared. Among his other books was "The Era of Reconstruction" (1965), which disputed the prevailing idea that "radical Republicans" from the North were determined to humiliate the South after the Civil War and enfranchise blacks solely out of political self-interest. 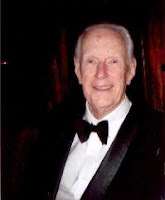 Kenneth Milton Stampp was born in Milwaukee on July 12, 1912. At the University of Wisconsin under mentor William Hesseltine, he received his bachelor's degree in 1935, followed by a master's in 1937 and a doctorate in 1942, all in history.